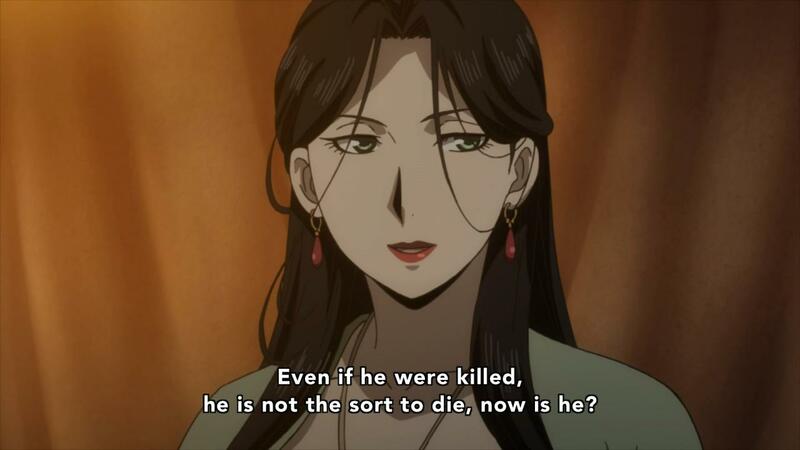 Brendan continues to draw the coveted long straw as The Heroic Legend of Arslan once again sits down, takes a deep breath, and makes a serious effort to pull itself together. Tension is the order of the day as we spend the episode behind-the-scenes of both factions, setting up a grand battle for the fate of Pars. Arslan, with his army of loyalists, moves towards the strategically important Keep of Saint Emmanuel on his way to retake the capital. Hermes, leading a larger force comprised of both Lusitanians and conquered Parsians (who may or may not be aware of Silver Mask’s claim to the throne), moves to fortify the position and intercept Arslan’s counterstroke. This is the calm – the storm is coming. A lot of this episode seems to be a snapshot of the show’s major players to remind the audience who everybody is and what they’re about before the great armies come to blows and the action and drama start ramping up to the show’s impending climax. 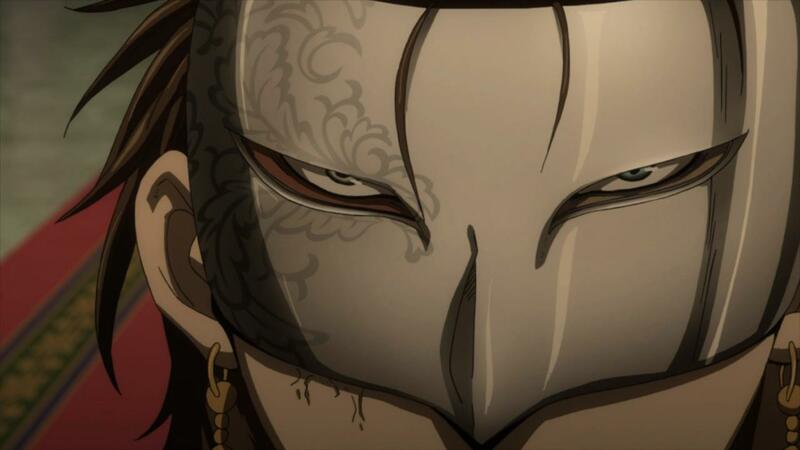 I – like many, I’m sure – welcome the opportunity to see more interactions amongst various secondary characters, especially the diplomatically hostile exchange between Guiscard and Silver Mask. 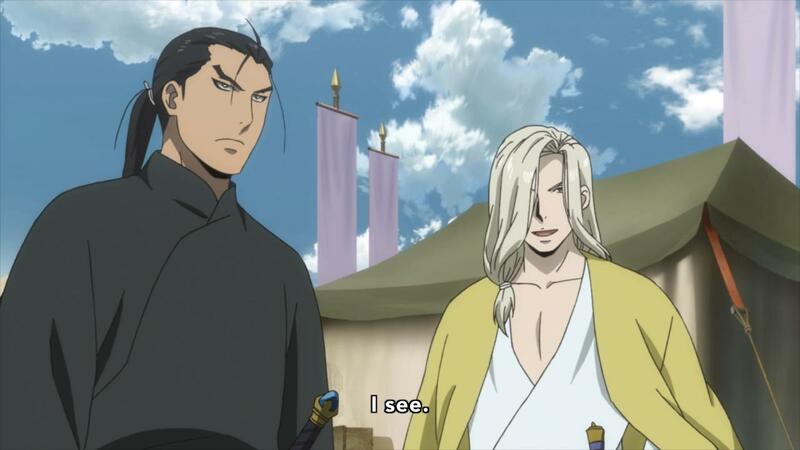 Also notable is that Arslan actually does something productive in this episode with no meddling at all from Narsus, although it is a little weird that that something is basically to suggest that the new recruits get rudimentary combat training. 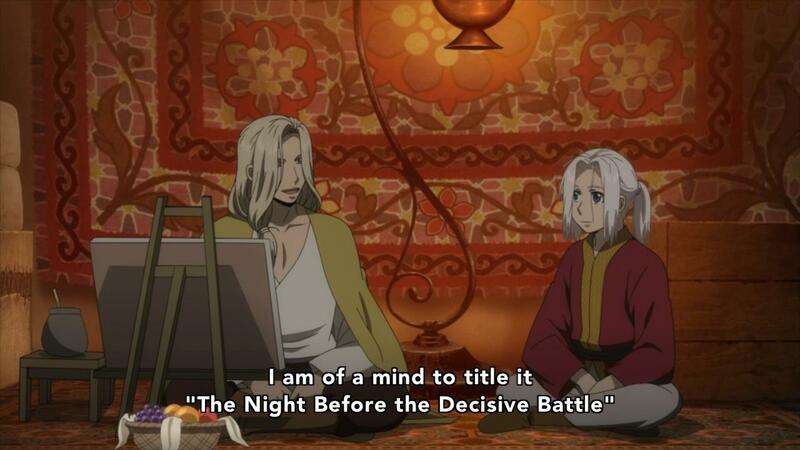 Indeed, Narsus – refreshingly – goes the entire episode without once driving the plot, though Arslan does pretty much ask him to straight-up out-wit their opponents. Fortunately for us [the viewers], Guiscard has been paying attention, and has decided to begin the defense of Lusitania’s new territory by mustering overwhelming force in the face of Narsus’ baffling track record. Hopefully it’ll take more than one prescient stratagem to win this fight. 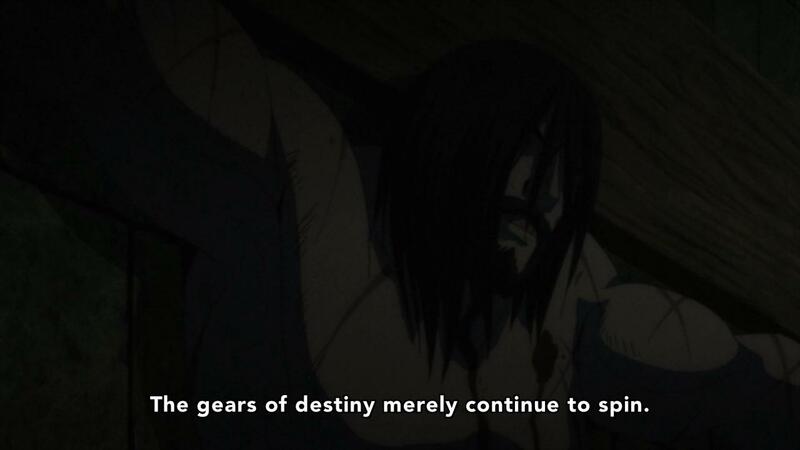 Another weird thing in this episode is Andragoras’ rambling about prophecy. I’m not opposed to the exploration of free will in my anime, à la Escaflowne or Princess Tutu, but that theme ran through those two shows from top to bottom. Episode 22 of 25 is way too late in the game to introduce a concept this weighty as a primary plot point or aspect of the world. I kind of hope Andragoras is just putting Hermes on. – or that he’s delirious, but he seems pretty lucid. I remain wary of Andragoras’ supposed prophecy popping back up, but I appreciate that the bumbling generals from last episode remain off-screen with Bodin and Innocentis. 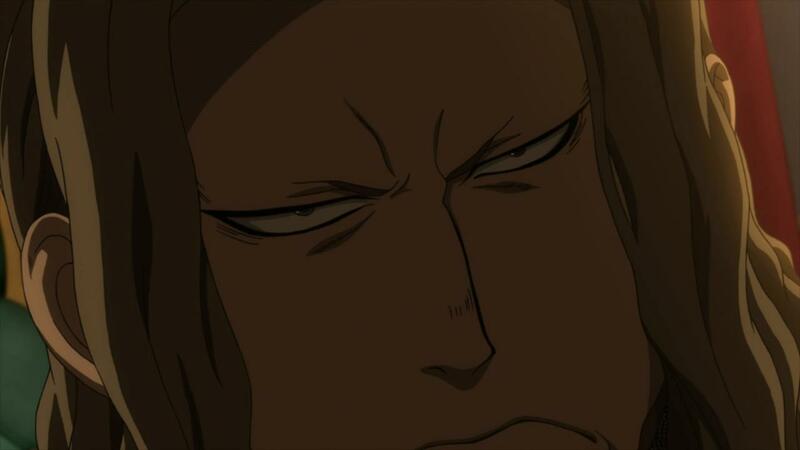 Arslan being useful for once and not being overshadowed by Narsus more than makes up for any other minor oddities in this episode. Also we got this little Japanism in reference to the absent Gieve, and, I’ll admit: I smirked.